To most people being afraid means hide, regress and do anything you can to restore the feeling of safety. But ask yourself - where would you be in life if you associated your fears with opportunity, progress, discovery and satisfaction? Nobody is fearless but some have the boldness to embrace their fears. They understand that they are stepping stones to greatness. 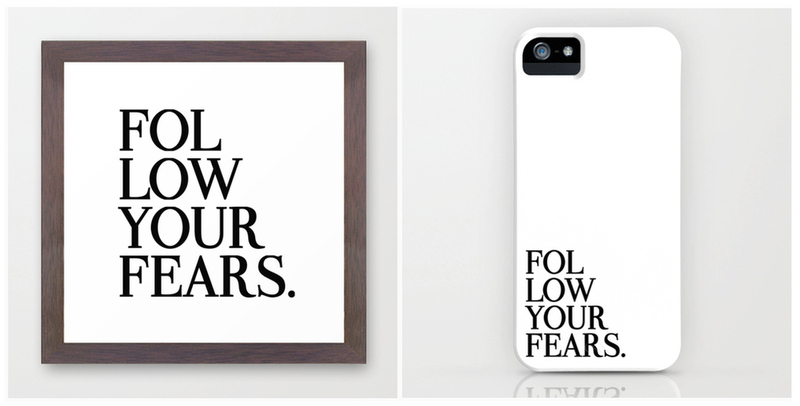 Click to purchase the "Follow Your Fears" poster, T-shirt or iPhone case.